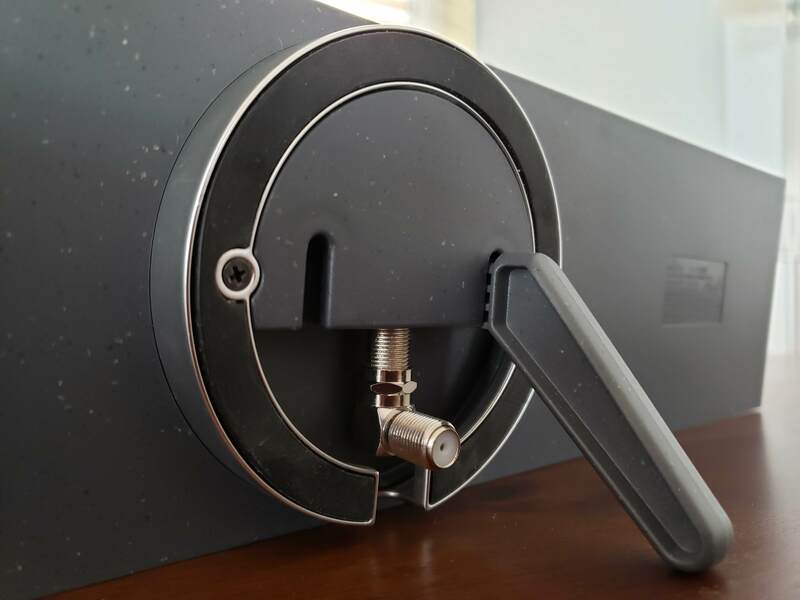 A unique design makes this low-profile antenna suitable for indoors or outdoors. The Mohu Blade is a long, sleek, and sturdy TV antenna that can be used either indoors or outdoors. The Blade’s design is unique. Most indoor antennas are flat, flexible types designed to be stuck to a window or pinned on a wall. Indoor antennas that can also be installed outdoors are usually bulky and ugly enough that you’d want them in some out-of-the-way place, like the attic space. But the Blade will look just as much at home alongside your TV as attached to the side of your house. A little kickstand allows it to be used indoors or it can be secured to the house with a couple of screws. It’s designed for reception of UHF and VHF-High channels, so should receive most major TV networks and independent stations in most TV markets. The Mohu Blade picked up eight broadcast channels for a total of 49 digital TV stations. That’s comparable with our other top pick, the Clearstream Flex, although the the channels received were not all identical. Unfortunately, when dealing with a small antenna, sometimes such discrepancies appear. It’s one reason we recommend an outdoor antenna if at all possible. Based on our tests, the Blade should work well in areas with very strong to strong signal levels. It received signals from transmitters in multiple directions so doesn’t need to be aimed very precisely. Having said that, you’ll still want it near a window or mounted on the side of the house facing the majority of local broadcast towers. The amplifier supplied with the Mohu Blade. The Blade is supplied with a 10-foot coaxial cable and an inline amplifier. There’s also a kickstand, mounting screws for installation outside, and a power supply for the amplifier. The amp is powered over USB, so if your TV has a USB socket, you can plug it into that. 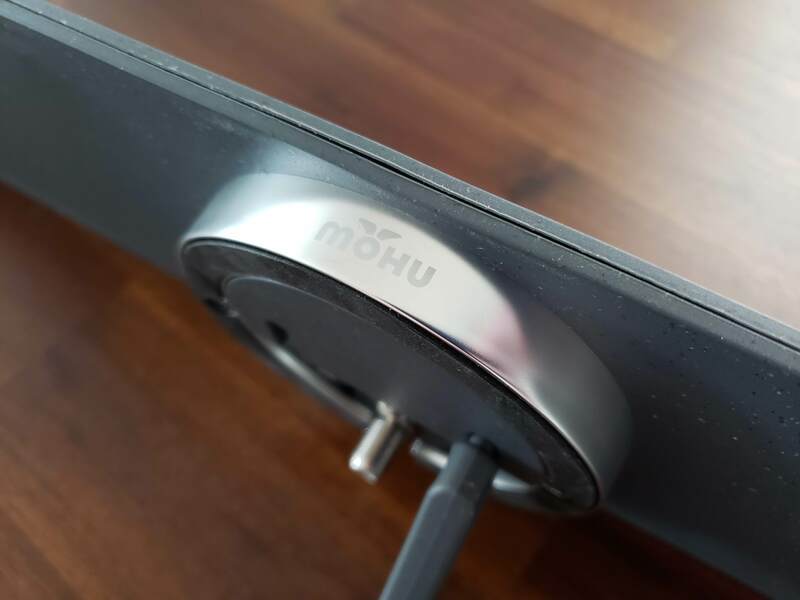 Mohu thoughtfully includes a right-angle coax adapter so that it can sit neatly when using the kickstand. Because the cable runs vertically down from the antenna, if you didn’t have an adapter you’d have to bend the cable 90 degrees, which could easily stress and break the connection. The Mohu Blade includes a stand and handy right-angle adapter for when the stand is in use. 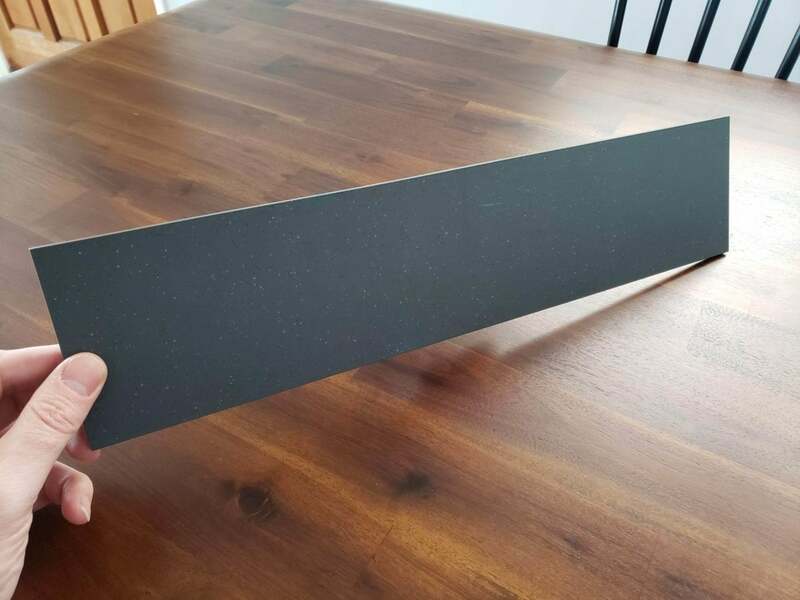 The Mohu Blade is the most stylish of all the indoor antennas we tested and performed well. It has good sensitivity for its size and should be adequate in areas with very strong and strong signal levels. You’ll get better reception with it mounted on the outside of your house. Its size means it should be easy to put somewhere without too much trouble. In areas with weaker signals, consider a larger, dedicated outdoor antenna. 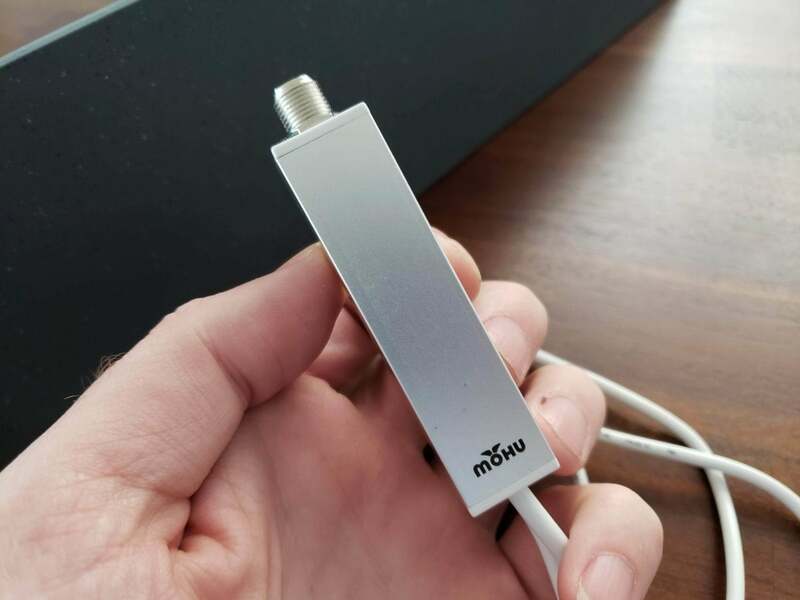 The Mohu Blade is a sturdy indoor and outdoor TV antenna that did a great job receiving UHF and VHF-High signals in TechHive reception tests.